Sewing has always been an important part of my life. My earliest memories of sewing were at my mother’s side as she sewed with love, the clothes that my siblings and I wore. She taught me to thread a needle and stitch fabric together, but most importantly she taught me the love of seeing a simple piece of fabric transform into something special. After marrying, while raising my three beautiful children, I took those things I had learned as a child and began to design and create clothes for my children. My wonderful husband served in the military for twenty-four years. It was while being stationed in Germany that I sold my first doll. 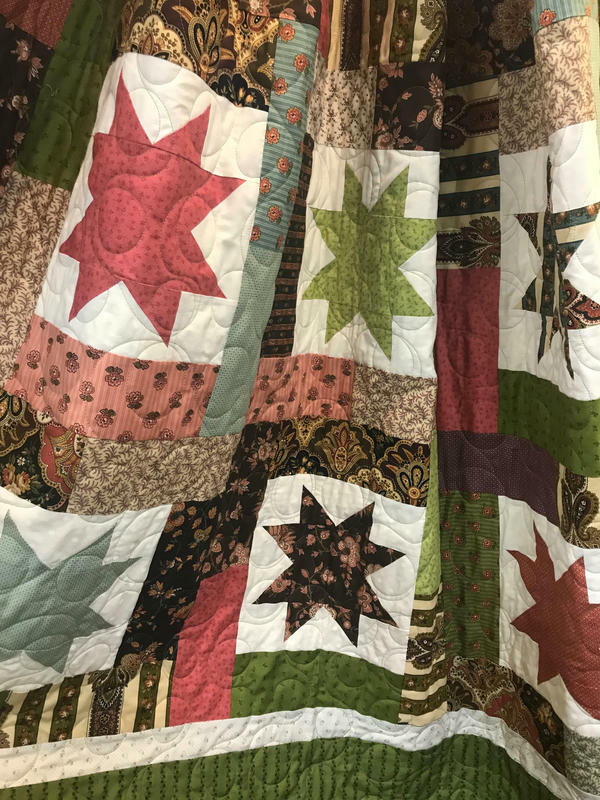 Upon returning to the United States and while serving at Ft. Riley, Kansas I began selling my handmade dolls, quilts, and clothing at local arts and crafts festivals. When we decided to retire we chose the beautiful Smoky Mountains as our home. Sewing and crafts has a deep place in my heart. My grandfather would often be seen quilting at the end of a long day of farming, so I guess my love for fabrics and stitching is in my genes. My ancestors were weavers of cloth when they migrated from Holland to the United States. I opened my shop in the Great Smoky Mountain Crafts Community in 1994 with handmade dolls and teddy bears. Over the years my love of quilting won out. What a joy to be able to create and sell my products in the beauty that surrounds us. Since being in the Arts and Crafts Community I have met many wonderful people and made many lifelong friends. I hope that in the coming years that I will continue to share my love for sewing with those that come to this wonderful place.